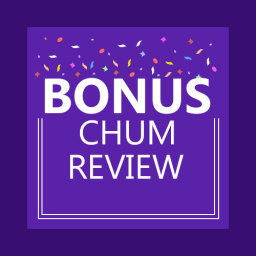 Home Betting System Reviews Daisho System Review – Overpriced or worth it? We would all love to find fool-proof ways of making money. Can this be done by betting more smartly? There are a large number of sites that promise you greater returns on failsafe bets. Which ones can you trust? 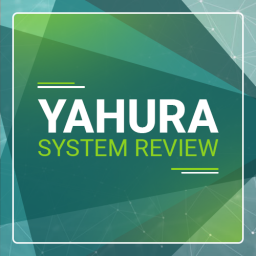 In this article I’ll be talking about the Daisho System review. 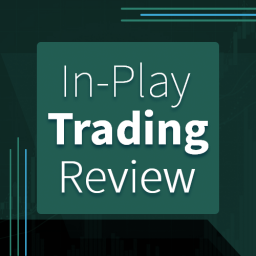 One site that has attracted a lot of attention lately is the Daisho Trading System from Tim Lowe and Tony Langley. 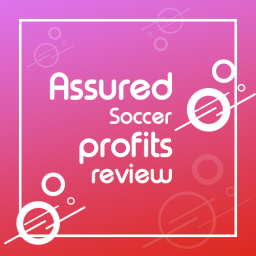 They promise to take all of the risk out of football betting with their strategies. Can it really work like they say it does? This Daisho system review will take a look at how it works and whether it is worth giving a try. Will it change the way that you bet from now on? This is a football trading system. 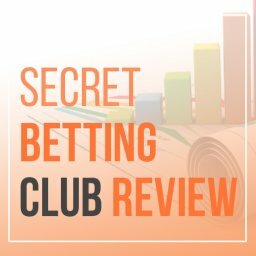 It cover the full betting process and gives you a step by step guide. First of all, where does the strange name come from, though? It turns out that it is a Japanese samurai term. Daisho was the term used for going into battle with a matching pair of swords. One would be long and the other short. This relates to the betting strategy because it gives you 2 chances to win. You aren’t just relying on the 1 approach all the time. This isn’t the first betting system to come out from the same author, Tony Langley. His previous products are all based on clever hedging systems. This means placing your bets in such a way that you simply can’t lose. Just as the samurai warrior has a big sword and a little sword, you use a main bet and a side bet. When done correctly this means that you should never ever lose money. This is because you are covering all eventualities. It is a popular strategy in horse racing. With football bets it is slightly different, as there are less possible outcomes in terms of the final result. However, this approach takes advantages of the numerous types of bet possible. Rather than simply relying on the final score you can bet on other things. The first scorer, number of yellow cards and number of corner kicks are a few of the different types of football bet available. The Daisho site shows examples of how the creator has won big in this way. These include profits of over £1,000 in some cases. It seems clear that this system has earned money in the past but what is it all about? This Daisho system review is based on the current version of their site. This means that we are taking into account the new Daisho Plus release. With this latest version there is an automated selection finder that makes life easier. In this way, you don’t need to waste time looking for the right bets to make. You just need a computer or a mobile device that lets you access the internet and you are ready to go. 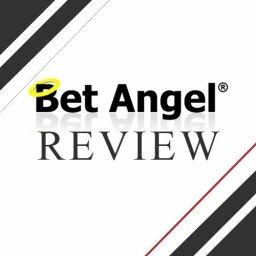 The software will tell you what to bet on and how to do it. You just need to follow the step by step instructions all the way. To be honest, you don’t need to know anything about football or even be interested in it to bet like this. So, how much can you win in this way? Clearly, it depends how long you spend using it and how big your bets are. It isn’t the same spending a couple of hour a week as dedicating more time to it. The more trades you place the more money you have a chance of winning overall. The site says that you will make a “decent profit” 97% of the time and do no worse that break even the rest. The people behind this system say that they placed 559 trades over the period of 20 months. 544 of them won a good profit. 14 made a small profit and just 1 of them broke even. None of the 559 bets lost. Having said that, the system is said to be so easy to use that it doesn’t need a lot of time. The site says that you can earn between £2,250 and £3,000 per week. It is also claimed that you can retire on £9,000 to £12,000 per month in this way. Of course, these benefits don’t come for free. In fact, there is a fairly hefty price to sign up to Daisho. At the time of writing, there are three different packages that you can choose from. The cheapest of these is called the Gold Package. This costs £1,297 to get you started. After this, you pay a £199 monthly support fee. This is a full trading plan with training and support on it. The next option is called the Platinum Package. At £1,697 it is an investment that needs some thought put into it. Again, you pay a monthly support fee, which is £119 in this case. It’s actually similar to the Gold Package but you pay more up front to get a lower monthly free. 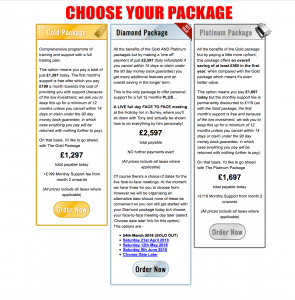 The most expensive choice is the Diamond Package. You pay £2,597 to get going but there is no support fee for the first 12 months. It also includes a full day face to face meeting with the system’s creator. There are some extra features with this package too. With any of these options you also get a full 90 money back guarantee. Given the level of investment required this is an important point to bear in mind. You can give it a try and see whether it is right for you without any fears. One of the most crucial points in this Daisho system review is around how to get started. After all, even if you are tempted to started trading in this way how difficult is it going to be? Are you likely to spend a long time learning the basics? The good news is that it is pretty easy to get going with. Indeed, the site says that you can start placing bets in a matter of minutes. They then say that you can expect your first winnings in a couple of hours. As we saw in the last point, you need to choose your package level first of all. After that, you pay the appropriate fee. Once you have done that you are ready to start. It is also worth mentioning that there is a demonstration of real trades that you can view. If you watch this demonstration but decide not to proceed then you will still benefit. This is because you get a “simple standalone program” just for watching the demo. It is said that using this basic approach could still make you good profits. A figure of £200 to £400 each month is mentioned as your expected earnings with this. If you decide to go ahead and pay for a package you will be given immediate access to the system. This means that you can start finding recommended trades right away. It is best to do this when you have some free time to dedicate to it rather than rushing your first bets. You also get access to the extensive training material right away too. 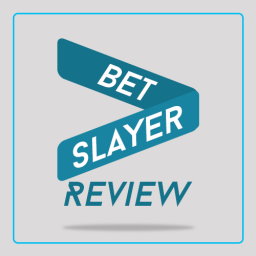 If you are totally new to this type of betting then you will want to check out this material. It shouldn’t take too long before you understand what it is all about and feel confident. It is impossible to write a Daisho system review without mentioning the names of Tim Lowe and Tony Langley. These are the people who have brought this method to life. Their story began in 2013. This is when Tony Langley showed his new football trading idea to Tim Lowe. He was impressed enough for them to go into business with it together. 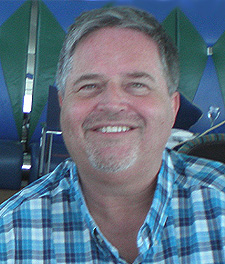 Since then, Tony has enhanced and refined his ideas in different versions of the strategy. All this time, Tim has worked to promote the product tirelessly. Tim Lowe promotes these products under the banner of Waverley Media. This is just one of the methods that this company offers for people looking to earn extra income. Among his other products is Two Minute Trader. In addition, he has written a book, called ‘Tim Lowe’s Millionaire Mindset’. All of this means that he is among the most recognisable figures in the area of earning money from home. As for Tony Langley, he appears to keep a lower profile. His Football Hedging System and Sportsure trading service are among the other products that he was worked on. 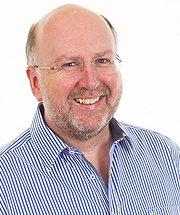 Tony is regarded as one of the top Betfair trading experts around. Reports suggest that he has won over £200,000 in 5 years from football trading. Other sources mention him paying his mortgage and giving up his job thanks to this trading success. Together, they collaborated on the Football Hedging Trading Programme, which is now closed to new members. This new system is best viewed as an update to that previous method. The popularity and high profile of this method means that there are plenty of online Daisho system reviews. As you would expect, these cover a wide variety of opinions. Generally speaking, the reviews are positive. One thing firmly in their favour is that this is an enhanced version of an existing product. It isn’t something completely new that people know nothing about. The fact that it is easy to find people who have profited from their earlier Football Hedging System is a good sign. This isn’t a shot in the dark but a clearly thought out system that has been shown to work. Having said that, the high price of getting involved could put some people off. Over £2,500 for the highest priced package is fairly steep by anyone’s standards. Of course, if you earn as much as it is claimed you will then you will pay this off in no time. The fact that the trial period was so successful is a positive sign. As mentioned earlier, from over 550 trades he didn’t lose a single bet. This an incredible success rate and gives confidence that this is a sound investment. The training and support on offer also worth taking a closer look at. This could make the difference between taking full advantage of any betting system and wasting the opportunity. The guys behind Daisho are known for paying a lot of attention to support and help. Indeed, they only ever offer limited spaces on their products for this reason. The offer to meet the creator for a full day at Horsley Park in Surrey should help to put any worries to rest. It is easy to find some online complaints as well as a positive Daisho system review. You can read people complaining about it on sites such as Trustpilot. So, are they telling the truth or are the positive reviews in other places right? As always, it is entirely possible that people get different experiences with the exact same product. How is that possible in this case, though? Isn’t the main attraction of this product that it is so easy to use and guaranteed to work? It is certainly true that you just need to follow the step by step instructions. The maths have all been done so you don’t lose if you do this. It is impossible know the exact problems suffered by people who have written online complaints about this method. Many simply advise readers to steer clear of the product and of the people involved. Indeed, the personal nature of some reviews raises suspicions that there is more to their criticisms than meets the eye. Perhaps the simplest reason for these negative reviews could be that the users haven’t used the software properly. It is vital that the correct steps are followed in order to take the risk out of the trade. Weighing up the different reviews, it seems clear that there are more positive than negative ones. While this is no guarantee, it does suggest that the overall feeling towards this product is positive. Like most ideas, this isn’t right for everyone. First of all, it is important to note that this isn’t really gambling. It is a mathematical approach that has been designed to be fail safe. Therefore, it isn’t right for you if you love the risks involved in gambling. You aren’t going to get the same fear of losing it all with each bet. Instead, it will suit someone who wants to be sure of winning every single time. It is also a fairly complicated approach. The system gives you all that you need to know but it still requires you to learn the ropes. This is marketed as being an easy way to learn a lot of money almost instantly. While this is true to a degree, it will require some patience on your part. Some people pick up the basics more quickly than others. The high cost is also a factor to take into account. To put it simply, not everyone is willing or able to invest so much. Then there is the fact that the lowest priced packages have ongoing monthly costs. This is perhaps best seen as an investment option for someone looking to make their money work harder for them. Rather than settling for low interest rates in a bank you may be tempted to do something more interesting like this. 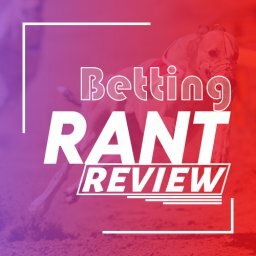 Does this Daisho system review make it seems as though Betfair trading is easy? It may seem that way. Certainly, the marketing material on their site is designed to make you feel that it requires little effort. 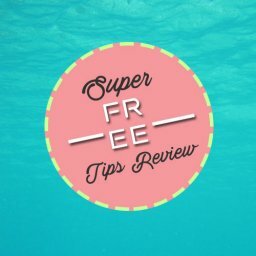 I’ve written a guide about Betfair strategies that work already. Yet, the truth is that Betfair trading is difficult. This approach is all about finding the right deals and taking advantage of them. If you do it on your own then you can expect to spend a lot of time searching and crunching numbers. This will clearly take a lot of time to do. By using the Daisho system you get to cut out a lot of the time and effort involved. 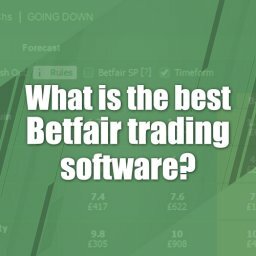 The software works out the best bets for you. By spending money on an expensive software and training package like this you can expect to learn more quickly. You can start making trades quickly but it will still take time to feel fully confident. The training material that is included is likely to be a big help too. However, it is going to take you some time to go through all of it. Therefore, perhaps we shouldn’t look on this as some sort of short-cut to riches. You are not guaranteed to make any money at all using these systems. You will need to put in effort and work in order to earn money in this way. However, it could turn out to be worth it. Enough people have earned profits in this way to make it a tempting option to get you start on Betfair trading. If you are willing to put in enough time and don’t expect miracles overnight then this could turn out to be a smart investment. This concludes my Dashio System Review. I’ve just invested in to Daisho Plus. So far, so good – though I must say that mastering the ‘recovery’ techniques (this is the smaller sword, the ‘backup’ if you like) takes time, patience and (importantly) a financial traders psychological mindset. I’m confident that these techniques will work over the long-term though. A unique approach to football trading I think. I have this system and have not seen any profit from it, anyone out there actually got it too work? How many trades have you done so far? Are you breaking even with it as this would be first metric for me. 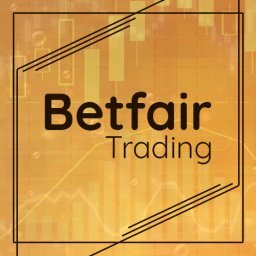 Even 3 or 4% profit on betfair exchange would be a substantial profit in my eyes as there is very little soft money floating around BF. I read about this system in a few places. When I see Mike having a blog about it then it gets my attention. 21 months of losing trades wish I had not got involved. The recovery is not easy.It will take a long time to master.So do not live trade until you have mastered it. Hi Tony would be interested in talking to you about daisho and how you are making a profit Please get back to me. Bought this 2 years ago and attended the day with Tony and Tim. The day was a fun experience, with Tony cracking jokes non stop, but he didn’t actually show us how the 5/6 different systems worked, so went home not much wiser?! Then got stuck in to the training video set and manuals, which are comprehensive and informative. Tony has videoed dozens of examples and you can start with just one of the methods and then build up. A genuine guy with a very clever system, but here is the catch…it ain’t easy! 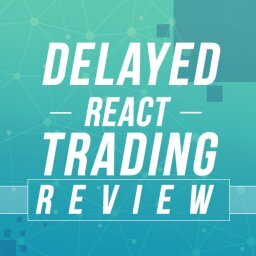 I have failed to master the recovery system, which digs you out of a losing position every time (hence no losing trades), but without a mathematical, analytical brain like Tony clearly has, I have lost money on many trades. The frustrating thing is it looks so easy when Tony is showing you his live trades, but I just can’t seem to get a grip of it (recovery positions) and once you dither it can all go wrong in a hurry! Tony is a very genuine guy. The system is clever and if you are you will make a lot of money with it. Given plenty of practice, you should succeed, but I don’t have the time to ‘crack it’, so an expensive day out! Mike’s review suggests it is easy to master…not for Joe average in my view. Finally, I have no axe to grind..I paid my money and had a go, so I hope this is helpful to readers, as it’s as unbiased as I can be. If anyone is having success with it I would like to hear about it and perhaps fellow participants can get together for a chat? Hi Ian, I have been trying for a year to master this and still get it wrong. I won’t quit as I have put money into it but man I would love to talk to someone else having issues??? 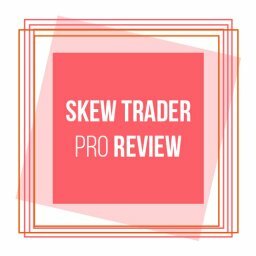 Hello, Talk to me I have and 21 months of losing trades! I also went on this course and totally agree with Ian’s comments. 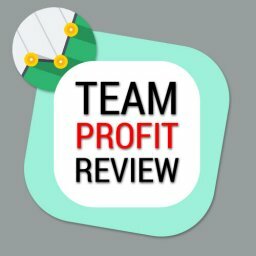 I believe that the system works and Tony couldn’t have given more support, however it is NOT EASY at all if you have to recover and you can easily wipe out the profit of your previous trades if you go wrong. I have spent 100s of hours trying to crack it and have sadly more or less given up because Mike’s methods are far more reliable. It is totally frustrating because I can see that it does work, it’s just that I can’t seem to be able to do it! Hi Sarah apparently Tony is working on automation for this , and will be available in March/April , hope this helps.